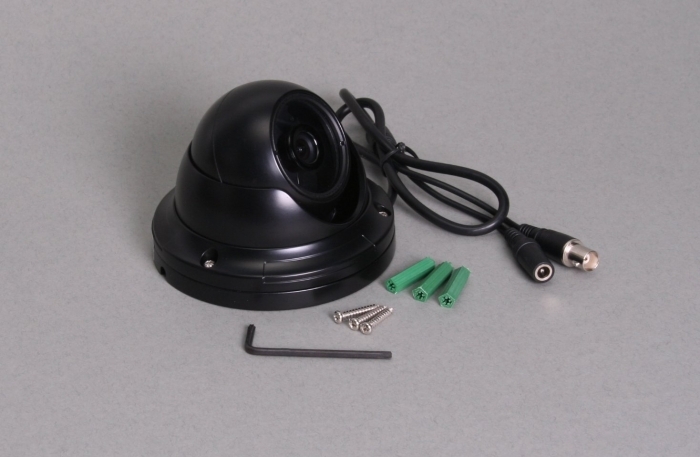 A small fixed lens open face vandal dome camera. Tough metal construction suitable for indoor or outdoor applications. 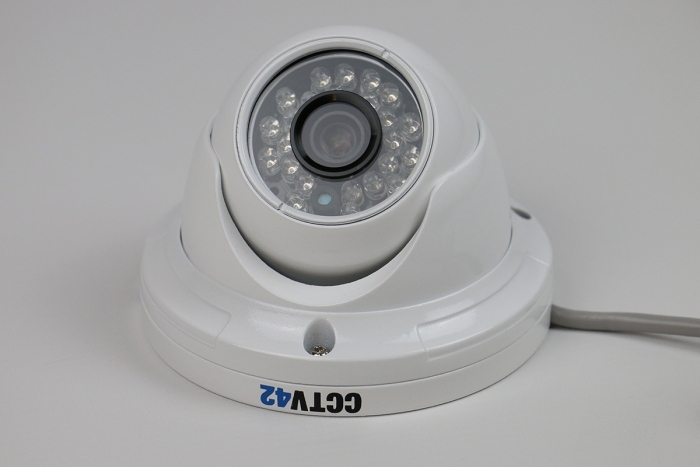 Built in infra-red illumination automatically switches on as light levels fall making this suitable for day or night time filming. 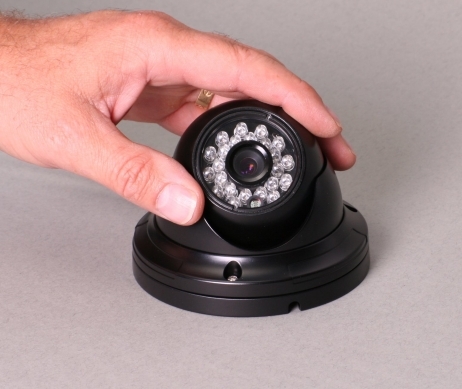 The 3.6mm lens gives a wide angle field of view, approximately 75 degrees. This does mean detail capture reduces as you move away from the camera. 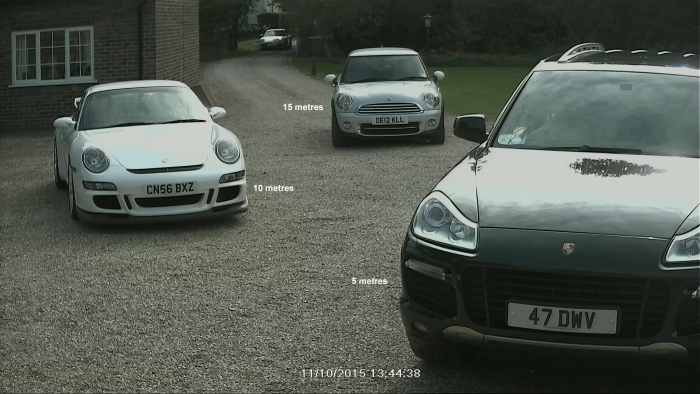 People can be identified up to a distance of around 5 meters with this cameras. 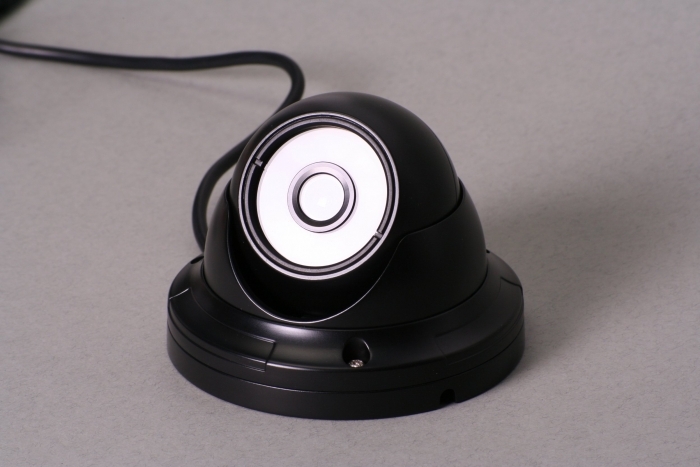 For applications requiring greater distances consider the more versatile 2.8-12mm large open dome camera. 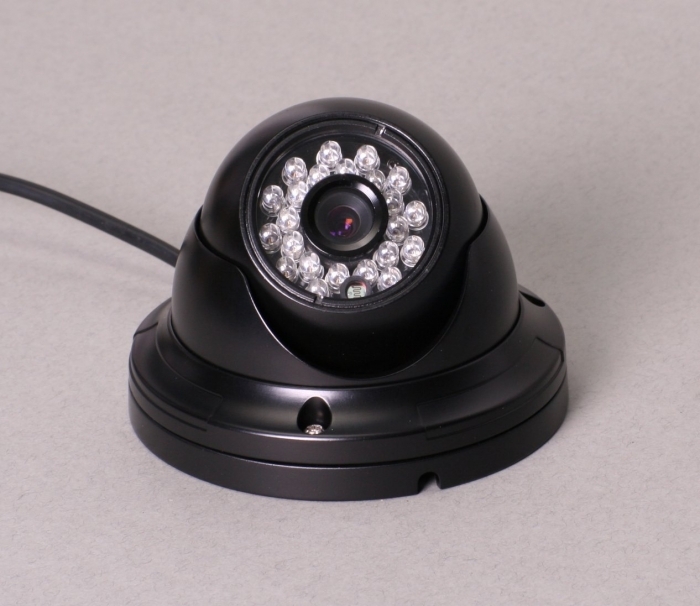 The camera has 12 volt power input via an industry standard 5.5mm socket and 2 video outputs both via BNC connector. HD-1080P TVI and standard definition 960H analogue. There is a toggle button on the input lead which allows access to a settings menu from where you can make changes to the camera. 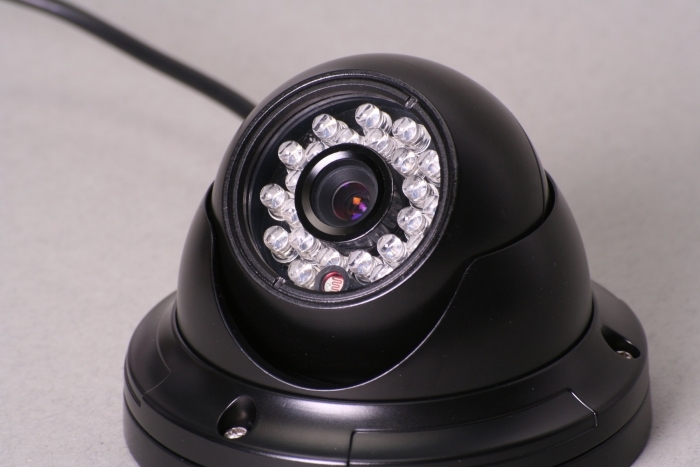 The settings menu can also be accessed remotely using our DVR recorders.